The CDC has already admitted that this year's influenza strain is not a good match for the current flu vaccine. And yet, as in previous years, the universal message given to the public from the government and mainstream media is to "get the flu shot anyway." But what if the flu shot itself is part of the problem? Is it possible that the financial investment in stockpiling flu vaccines each year creates a conflict of interest in this public health message encouraging everyone to get their flu shots, even when it is not a good match for the strains of flu currently making people sick? Could the flu shot itself be making people sick, and even causing deaths? 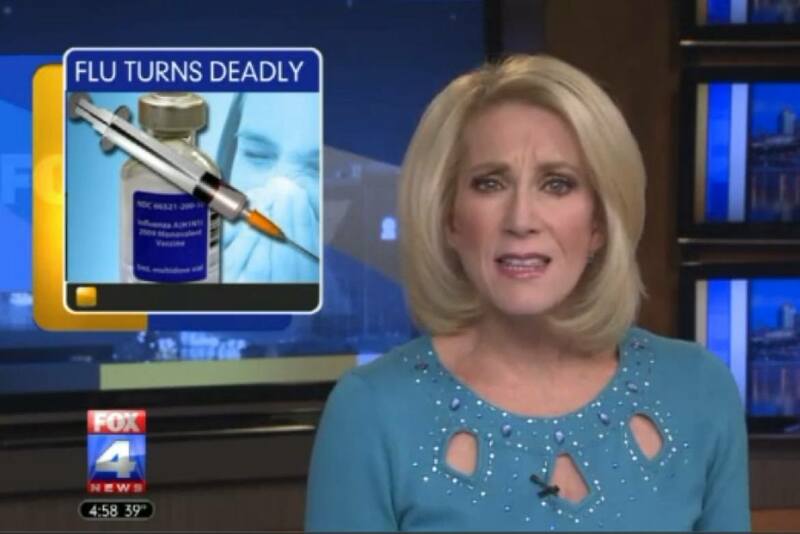 Fox 4 News in Kansas City recently reported the story of a local woman who died from flu complications just after her 37th birthday. Her family reports that she was healthy, and that she was required to receive the flu shot because she was a nursing student. THANK YOU for this article! This needs to go viral because people are NOT informed and are blindly trusting of the government. This is the biggest duping of the American public. Unnecessary vaccines, combined with the use of antibacterial products, are destroying people's natural immune systems. I've heard that insurance companies are even requiring the flu vaccine of all their insureds or they will drop them. But, it's notable and sad that mine is only the ninth comment in this discussion. That says a lot. I got the flu shot 11-13-15. SInce then I have been numb in my legs and now numb in my entire abdomen. Went back to my GP yesterday and he suspects Gulliain Barre. I'm wondering what I should do? Any advice? Admin said: > The CDC has already admitted that this year's influenza strain is not a good match for the current flu vaccine. And yet, as in previous years, the universal message given to the public from the government and mainstream media is to "get the flu shot anyway." > > But what if the flu shot itself is part of the problem? Is it possible that the financial investment in stockpiling flu vaccines each year creates a conflict of interest in this public health message encouraging everyone to get their flu shots, even when it is not a good match for the strains of flu currently making people sick? Could the flu shot itself be making people sick, and even causing deaths? > > Fox 4 News in Kansas City recently reported the story of a local woman who died from flu complications just after her 37th birthday. Her family reports that she was healthy, and that she was required to receive the flu shot because she was a nursing student. I got the flu shot then 1 day later I was passing out going into convulsions they said its seizers but in the hospital they said no sodium in my body, next day I still felt sick. They said I had something titis in my stomach. I havent been the same. I have started reading these reports, but I have some questions that none of the reports contain. How soon after getting the flu shot did these individuals become sick? Had they already been exposed to the flu before they recieved the shot? If the shot itself is to blame, they would have gotten sick within 4 days of the vaccine. If it took longer, the flu shot could not have been the cause of thier sickness, but it certainly proved ineffective. This is why I never did or NEVER WILL get a flu shot! I for one take the flu shot EVERY YEAR, but THIS YEAR it did NOT save me from getting the flu. I am almost 62 and have NEVER had the flu, nor have I EVER been this sick my entire life. So what's the answer?? Beats me for sure!! Open Minds, open thoughts. Just getting over the flu....no, didn't have shot.....I will survive.....we are becoming too attuned to the fact that we should never be sick our immune systems can't fight off germs.....wasn't fun, but I will survive and my body will be stronger....just take care of yourself once you get sick and no antibiotics unless absolutely necessary! Excellent points and my thought exactly. I get exempt every year for this vaccine! please keep up your fight Dr Geier. We need more people like you to help us understand what is going on!